Hormones can be tricky to master, especially when trying to elevate testosterone without having it convert into estrogen. HOW MUCH “T” YOU GOT THERE, MAN? Most guys don’t even know where their T-levels are at. I suggest getting a basic blood panel and checking your lab results to see where your testosterone and estrogen levels are at. 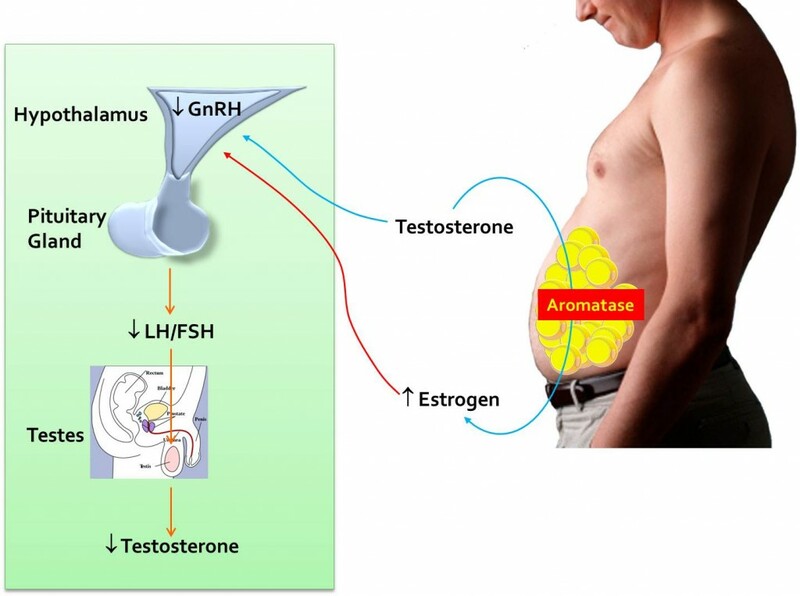 Surprisingly, more men than you think have no clue they produce estrogen. In fact, they don’t realize that the higher their body fat %, the more estrogen they produce. According to the Mayo Clinic, testosterone levels are at their highest during adolescence and early adulthood. As men get older, their T levels decline about one percent a year after age 30….ouch! 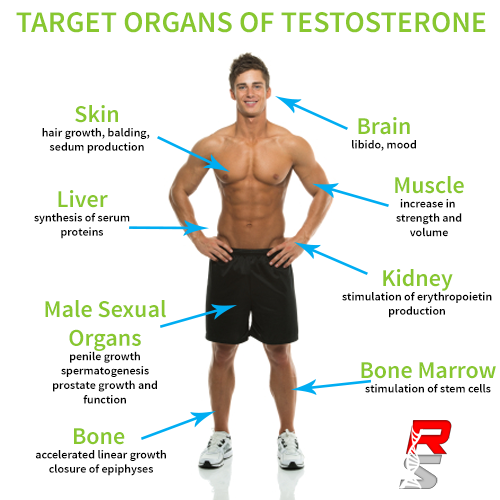 If you are over 40 years of age, there is a good chance that more of your testosterone is converting into estrogen then you would like. This not only causes loss of energy, weight gain, fatigue and difficulty adding lean muscle to your body, but it also leads to what is called ‘estrogen dominance,’ which makes you more susceptible to a whole host of other problems, including cancer. There is a big push by drug manufacturers for men to have their testosterone checked to see if that’s what causing erectile dysfunction, loss of stamina and libido. Unfortunately, they are more interested in prescribing synthetic testosterone drugs instead of using the old fashion, inexpensive testosterone that doesn’t have a patent on it. When you take synthetic testosterone drugs as replacements, your body will produce lesson its own, so when you stop taking the drug you feel terrible and compelled to get another prescription. 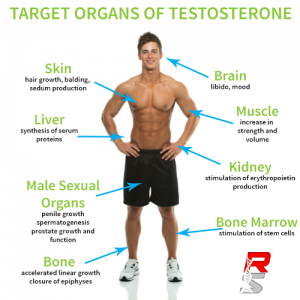 Men are designed to retain most of their testosterone and only have a tenth of it be converted into estrogen. What speeds up the conversion process is the activation of an enzyme called aromatase. We will cover the “Three Way Testosterone Plan” in our next post. Stay Tuned!